Amazing Highlands Single Malt, a subtle combination of whiskies aged in 6 different casks. 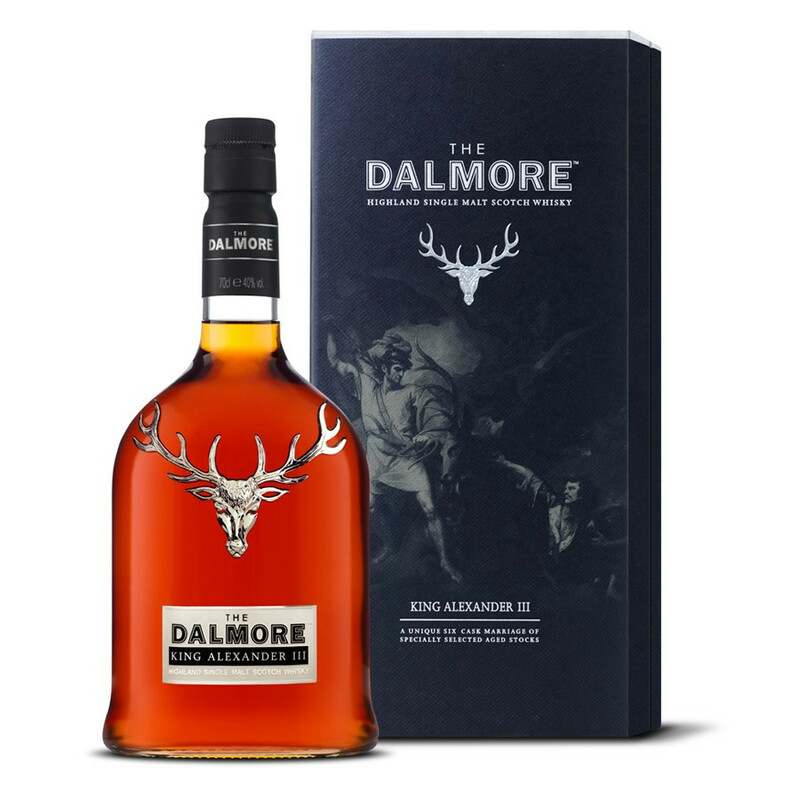 This sublime version of Dalmore results from a precise combination of whiskies aged in 6 different casks: French wine (Sauternes), Madeira, Sicilian Marsala, Jerez Sherry wine (Oloroso Matusalem), Douro Port wine, Kentucky Bourbon. 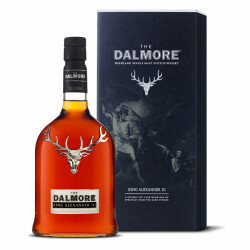 Richard Paterson, Cellar Master of the distillery, surpassed himself and managed to create a whisky of unique richness and fascinating complexity with King Alexander III. All the attractive features of each casks may be tasted in a single sip. Colour: amber with apricot-coloured glow. Nose: with a first hit on the malt, very appealing and fruity (candied citrus fruits, grapefruit juice, vine peach). Reveals a winey smoothness like a pastry or dessert wine (brioche and cream), with refreshing orange peels. Palate: full-bodied, rich, powerfully fruity, with orange peels swirling over dried fruits (nuts, roasted cashew nuts). A subtle, refined bitterness slowly flows over the mouth. The malt marks a noticed return with red fruits (blackcurrant) and blue grapes. Finish: biscuity, slightly salty, with a spark of pepper, lingering over slightly astringent herbal notes and delicate gentian. Gold Medal - San Francisco World Spirits Competition 2009.